Jewellery brand is touring London with the robots. Tiffany & Co is touring London with a robots installation as part of a festive campaign. The luxury jeweller kicked off the activation with musician Tinie Tempah in Covent Garden yesterday, near the Tiffany concept store. 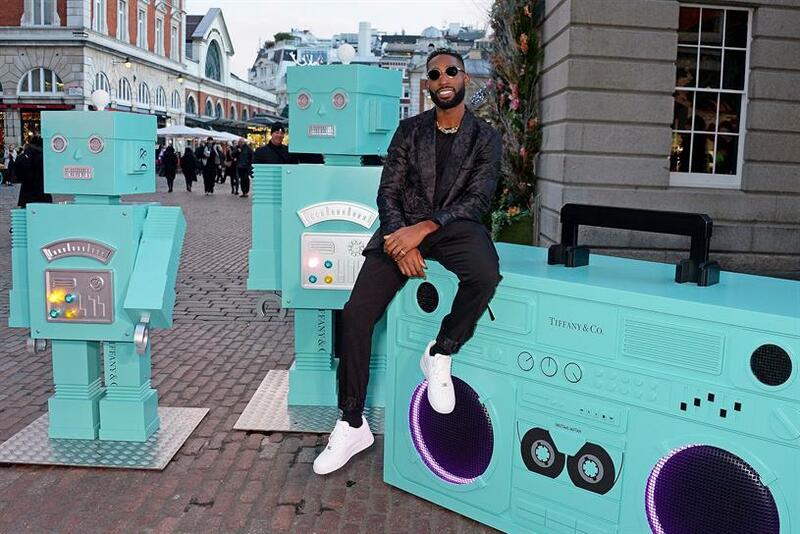 Tempah listened to the robots’ beatbox Jingle Bell Rock, Santa Baby and Santa Claus is Comin' to Town, which were recorded by MC Zani for the installation. The robots also projected seasonal messages to passers-by encouraging them to share the experience on social media. The robots will visit Sloane Square and Westfield London. The work was created by Tiffany in-house unit and PR agency Mission. Tiffany has also installed a large scented-Christmas tree at London St Pancras station. The brand’s festive ad this year shows a "magical construction scenes at a Tiffany Christmas workshop".